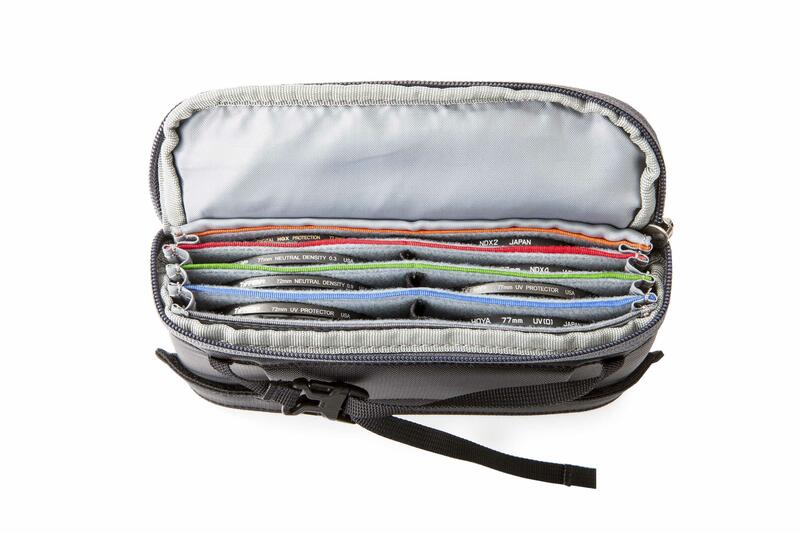 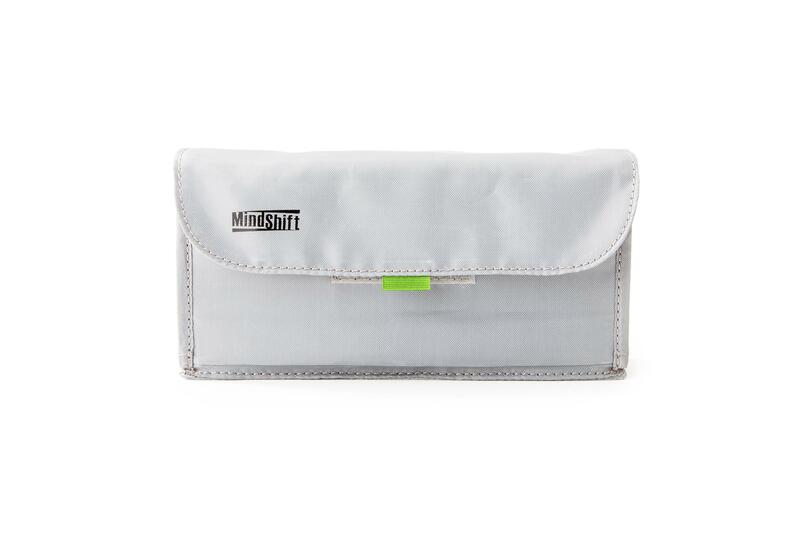 The MindShift Gear Filter Nest pouch organises filters using colour coded protective dividers. 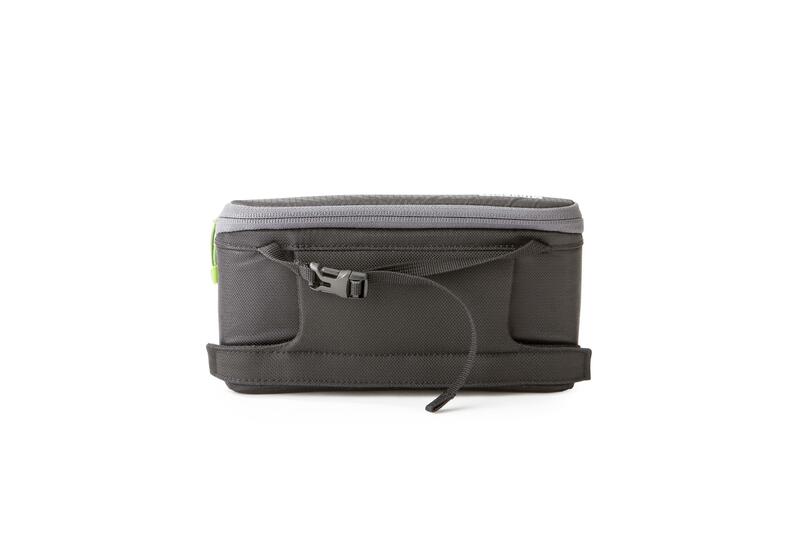 It can be worn on a standard belt, the side rail on the rotation180° Pro or Panorama belt pack, a belt, on other belt packs, inside different camera bags, so you can quickly access filters while setting up a shot. 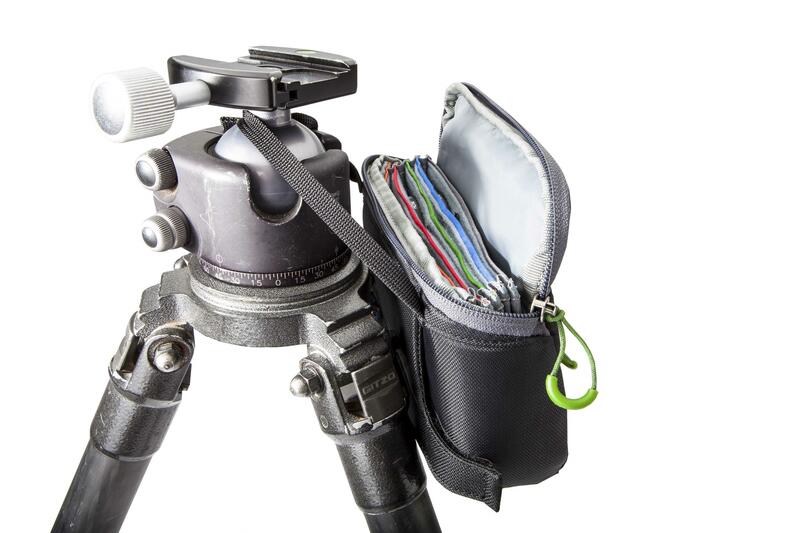 The grab handle with side release buckle enables you to hang the Filter Nest from a tripod to suit workflow for rapid filter changes when speed counts. 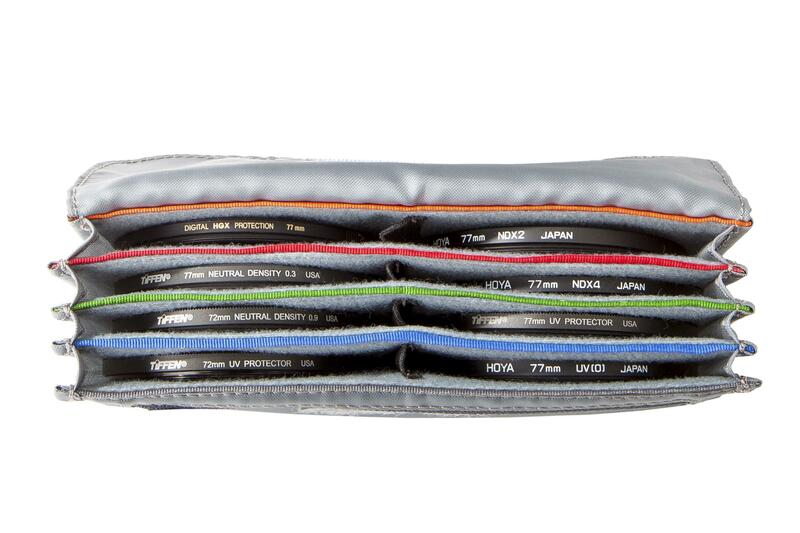 Photographers rely on filters to create various lighting effects. 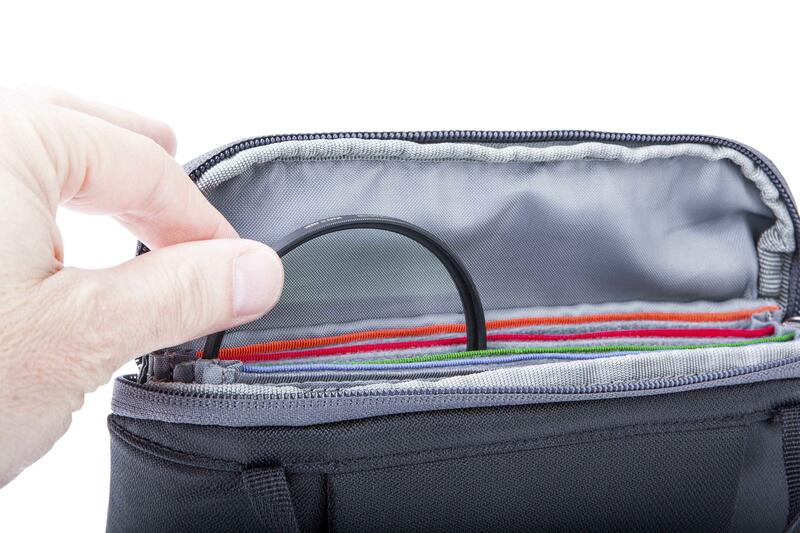 Needing a protective, well-designed case that provides rapid access for quick filter changes. 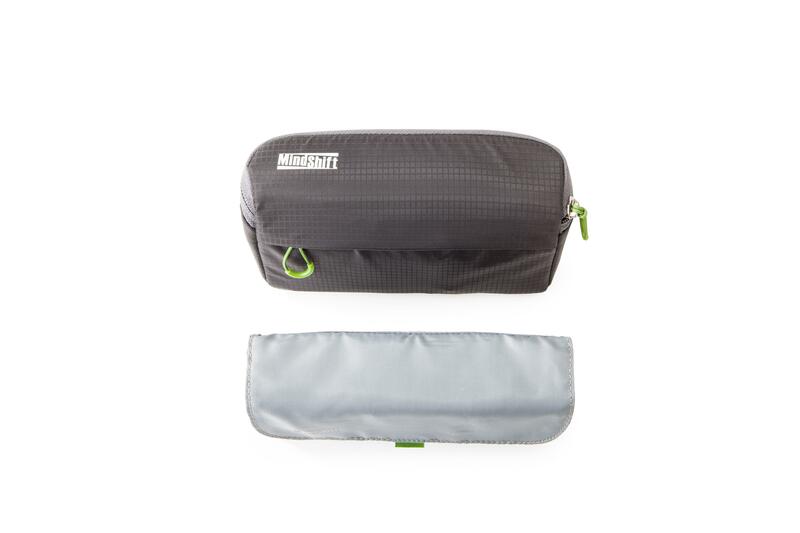 The Filter Nest is two bags in one. 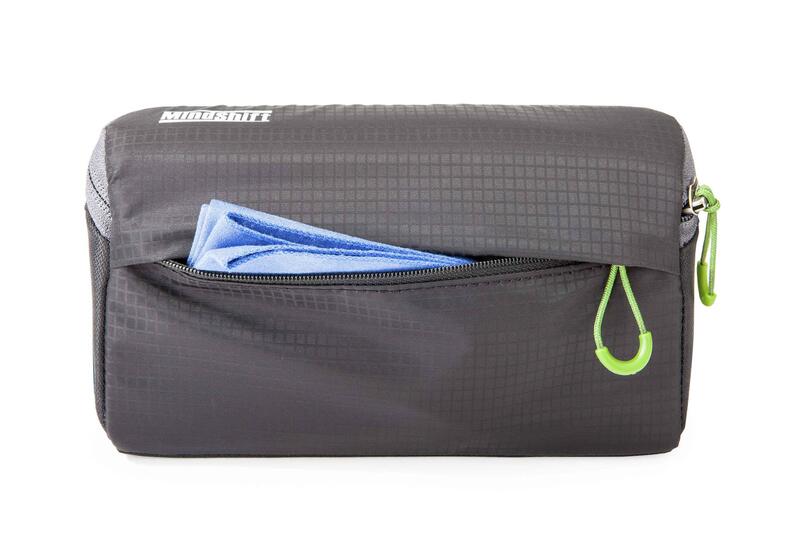 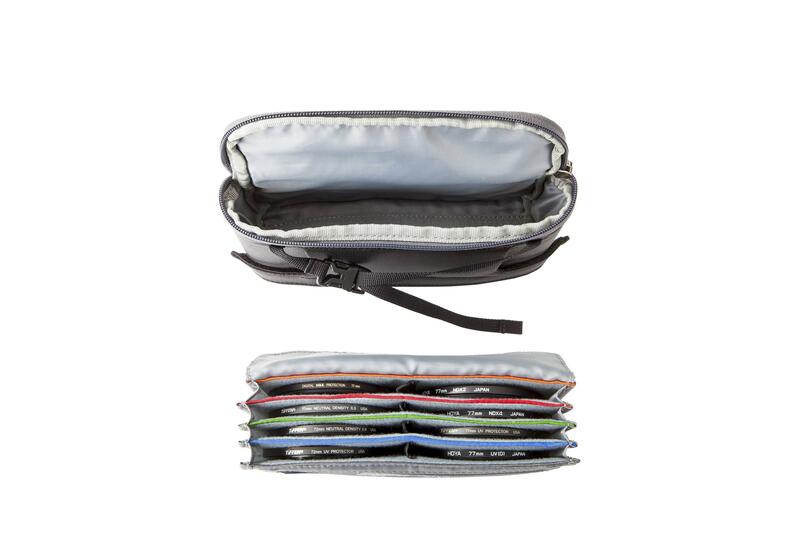 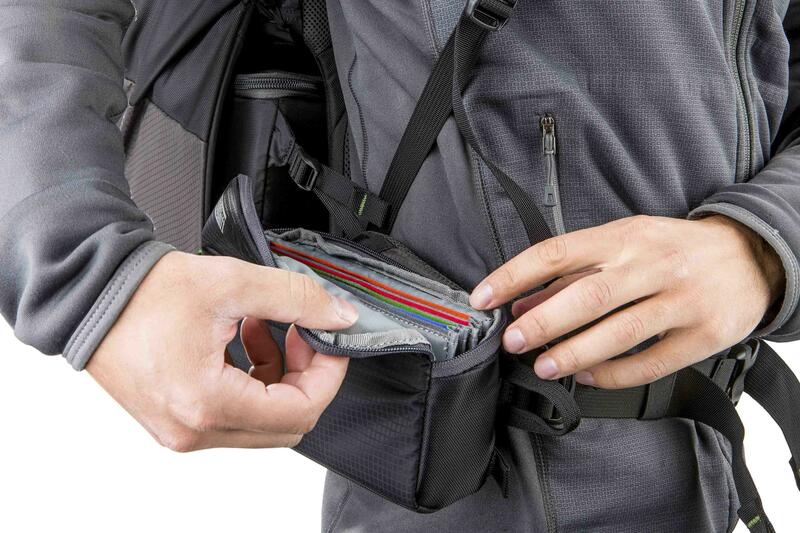 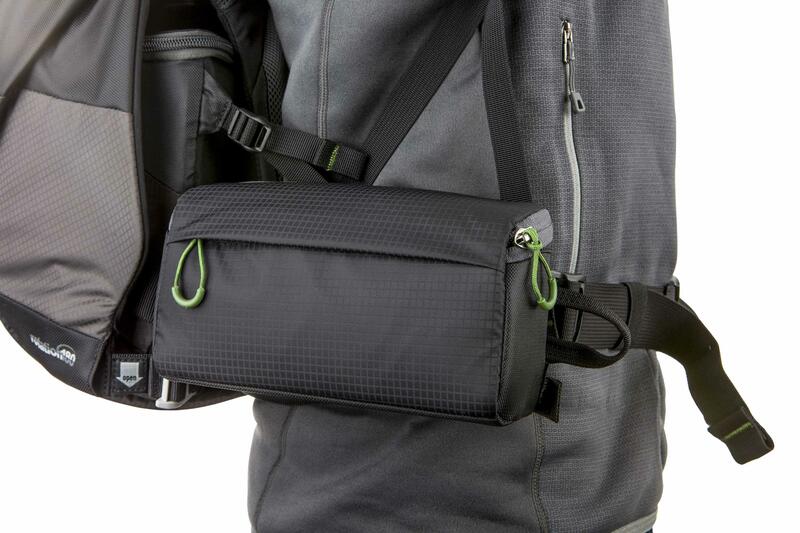 Its padded, zippered pouch protects delicate filters from dust and scratches in the field or just use the “removable insert” for compact packing.